Tea is one of the nation’s favourite drinks and research suggests it’s also a healthy drink. Tea brings a number of health benefits including improving insulin sensitivity. However, research notes that some the benefits are best experienced if you drink your tea without milk. How does tea help diabetes? Tea also contains tiny micronutrients called flavonoids which can help parts of the body to function better. There are many different types of flavonoid and each have different health properties. 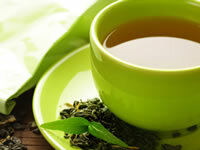 One flavonoid of interest that is found in tea is theanine which can help to control blood pressure and lower stress. Which type of tea is best to drink?